Since the first human organ transplant was completed in 1954, we’ve come a long way. As ground-breaking as that was at the time, science has developed tremendously in the intervening decades, and bioengineering in the form of 3D printing is on the forefront of new treatment methods for diseases and biological needs. Currently, the medical field encounters a significant number of people who need an organ transplant relative to a small number of organ donations. Supply is nowhere near demand. In the future, experts believe 3D bioprinting will be able to alleviate this problem. 3D printing in the biological realm presents the opportunity to create human cells, tissues, and someday organs through a layering process in which live cells are suspended, similar to the way that 3D models are created through 3D printing. One of the primary ways that bioengineers would like to use 3D printing is for the creation of human organs that could then be transplanted into patients. Cells from the patient would be taken to create the organ. This advancement is still, however, a long way off; researchers currently working on printable human cells predict that custom kidneys, lungs, and hearts might be printable in full in about fifteen to twenty years. The impact this could create for those awaiting organ transplants on years-long waiting lists is beyond spectacular. On a note of hope, Swedish firm Cellink already offers fifteen different active inks with biologically functioning components that can be bought by bodily function. 3D printed craniofacial reconstruction materials have already benefitted people who have had a facial injury or need repositioning. One commonplace example is the use of Invisalign braces, printed in mass every day as an alternative to adult braces. Penn State researchers found success in 3D printing a nose with considerable accuracy. In China, oral rehabilitation specialists have successfully 3D printed a human tooth. Furthermore, it was implanted into a volunteer patient’s mouth by an autonomous robot surgeon! Bone, cartilage, skin, blood vessels, muscles, and nerves have been created in labs, but more development is needed before it is used on complex structures in patients with regularity. The aforementioned organization, Cellink, is also using 3D printing to create duplicate tumors with their biological inks. Cells are taken from the tumors of patients, and those cells are then used to create a duplicate tumor outside of the patient upon which medical researchers can test a variety of treatments with the aim of finding the optimal treatment for that particular patient. No patients have identical cancers, and the implications for this development could maximize the opportunities for highly personalized treatment options that treat and potentially cure patients without direct exposure to therapies that could harm their unique biological composition. The founders of Cellink have gone on to create a tissue printing 3D printer that sells for a low ten grand (US$), practically a steal for such a valuable piece of equipment with powerful potential. They have seen extremely high demand from the onset. By creating testable subjects apart from a human or animal, researchers can reduce the need for controversial, potentially harmful testing procedures while still understanding product efficacy. Animals would, ideally, no longer be needed for testing cosmetics, and other types of tissues for other applications will likely follow. In fact, the startup Organovo has already partnered with cosmetics companies like L'Oréal to test their cosmetics on artificially produced skin tissue. Bioprinting has particularly high potential in replacing cartilage based-structures like joints or parts of the knee. Cartilage is rich with opportunity for experimentation as it is only composed of one type of cell and there are no blood vessels within the tissue, which can complicate the process when present. Areas prone to more wear and tear such as hips could have natural tissue replacements. Though the field is still relatively young, cartilage and skin are considered to be the most viable and potentially most widely-used applications for bioprinting technology at present. Successfully engineering blood vessels are the key to making tissue and organ implantation successful on a long-term basis. Blood vessels, which are thin and tube-shaped and therefore difficult to print, are needed to supply the implanted tissue or organ with blood that supplies oxygen and nutrients. Blood vessels have been created, but the current challenge is in creating vessels that can be connected to the already-existing veins and arteries. Another challenge is successfully integrating blood vessels into the tissue and organs. However, in 2016, researchers were successfully able to replicate blood vessels in rhesus monkeys. Despite this achievement, it will still be a considerable time before printing vital blood vessels is common practice. 3D printing techniques have already been used to create cost-effective advancements in the health industry. 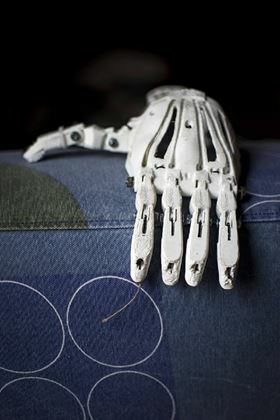 For instance, customized prosthetics are made cheaply and effectively at a more affordable price than prior to the advent of 3D technology. This is beneficial to families with a child who needs prosthetics, because children often grow out of their prosthetics quicker than a family can afford to replace them. Hearing aids are also commonly made using 3D printing technology and they face less regulation and required testing due to their external placement and function. 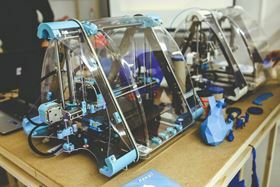 Despite the many strides in 3D bioprinting in the last several decades, there are still a multitude of challenges that need to be faced in order to realize the full potential of the process in the bioengineering sphere. In the meantime, cautious optimism is a safe approach. Olivia Warfield is a contributing writer and media relations specialist for American Paper Optics. She writes for a variety of technology and digital development blogs and is especially interested in the rising prominence of 3D technology for business, recreation, and saving lives.